A payment is a financial exchange that takes place between buyers and sellers. An electronic payment is the financial exchange that occurs between buyers and sellers online. Because consumers use credit cards, debit cards and electronic checks to purchase goods and services; citizens expect options when paying for services from their city. The use of cards as a payment form continues to increase. According to a study by NextAdvisor, 42% of American consumers prefer to use debit cards to make in-person purchases; 38% of consumers prefer to use credit cards for in-person purchases. When it comes to purchases online, 50% of consumers use credit cards and 30% prefer using their debit cards. Consumers who use their debit card like to use real money; while credit card users say rewards drive their choice. Whether in-person or online, 80% of consumers prefer to pay with credit or debit cards instead of cash or checks. Credit card payment transactions take place every minute of every day in every corner of the world through card brand authorization networks (Visa, MasterCard, Discover, American Express). These networks connect merchants, merchants’ financial institutions (acquirers), cardholders, and cardholders’ financial institutions (issuers). The merchant must receive an approval from the card-issuing bank’s authorization center in order to finalize a sale transaction. The authorization process has evolved its design to protect the merchant, the cardholder and the card issuers from fraudulent cards. The actual transfer of funds to the merchant is known as settlement. At the end of each day, the merchant will generally review the day’s sales, credits and voids. After verifying this, the merchant will close his batch on the point of sale terminal. This entails closing out the day’s sales and transmitting the information for deposit into the merchant’s bank account. 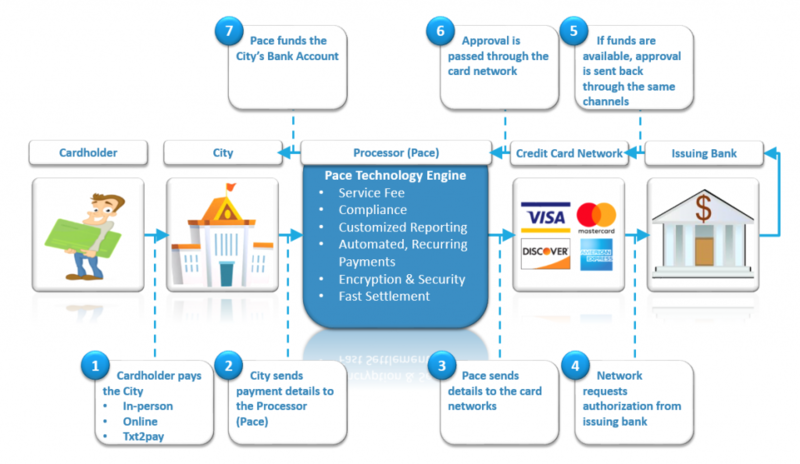 There are a few different ways a city can structure their payment processing costs. In order to increase the number of government entities accepting cards as payment, the card brands created special classification codes to ensure that government entities receive lower cost pricing. Much of the reason they are able to extend lower cost pricing to the Public Sector is the lack of risk in transactions between a city and its citizens. Traditionally, cities have absorbed the cost of processing electronic payments like any other merchant. A citizen pays a utility bill, and the city receives those funds net of the amount paid to the processor. Cities extended the convenience of electronic payments to their residents, but the cost negatively impacts a city’s budget. Since the money to pay for processing comes from a fixed budget, cities could be forced to cut funding in another area of the budget that benefits the community. If a city chooses a Service Fee structure for their pricing, the city passes the cost of processing electronic payments through to the citizen who opts to pay with a credit card, debit card or electronic check. Service fees are becoming more commonplace as citizens’ demand for payment options increases. The Service Fee structure ensures that payment processing cost only affects those using the option; it’s not levied on all citizens. Service Fees can be a flat or variable rate. They can also be customized for each department. For instance, the Utility Department can charge a different service fee than the Permits Department depending on the city’s needs. Accepting credit cards, debit cards and electronic checks from your citizens will streamline your city’s back office, improve reporting and receivables. Is My Citizen’s Information Secure? Security of citizens’ payment information is important when you are deciding whether or not it’s right for your city to accept electronic payments. Another aspect a city has to consider is their liability in protecting a citizen’s data. There are a few questions to ask your processor to find out how secure their solution is. Is my processor PCI DSS certified? The Payment Card Industry Security Standards Council, was formed by MasterCard, American Express, JCB International, Discover and Visa Inc. in 2006 to serve all organizations that work within the payment card industry. 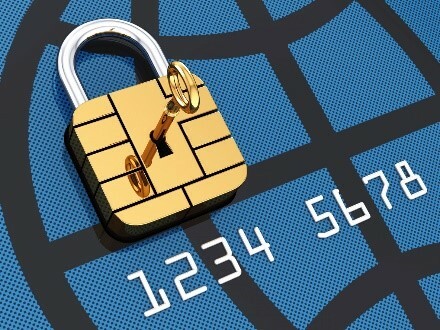 The Council helps merchants of all sizes, processors and technology developers implement security measures to reduce fraud and protect cardholder data from breaches. To be certified, an entity must pass a test with a Qualified Security Assessor. A QSA must be certified by the PCI Council and will perform an assessment onsite to determine whether or not a processor meets all security requirements. The first step in preventing a hack is to check that you have the most advanced, EMV-ready terminals. These terminals accept Chip Cards, which replaced magnetic stripes at the end of 2015. If you look at an EMV card, you’ll see a small chip on the front of the card. Dynamic data is stored in that chip. The data stored in a magnetic stripe is static; which makes it much easier to hack. The term ‘dynamic data’ means that each time a consumer makes a payment with an EMV-enabled card, the data changes which reduces fraud. Bank Liability: If a merchant does have EMV-ready equipment, and the bank has not issued an EMV card to the consumer, the bank is liable if there is a counterfeit card. Issuer Liability: If a merchant does have EMV-ready equipment, and the consumer pays with an EMV card, the credit card company is liable if there is a counterfeit card. End-to-End Encryption also protects sensitive information. When a citizen initiates a payment, the payment data is encrypted, or coded. The coded information travels through the network and isn’t decoded, or unencrypted, until it reaches the acquiring bank for processing. Tokenizing a transaction is another way of keeping your citizens’ payment information confidential. 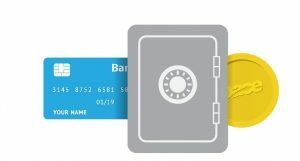 Unlike End-to-End Encryption which codes the payment information, Tokenization actually replaces the payment information with a Token, or a series of random numbers, to process the payment. Tokenization is effective because even if a hacker was able to gain access to the system and steal the token, the information would be completely useless in his or her hands. Although it’s impossible to guarantee that payment data won’t be compromised, taking the steps listed above will greatly reduce the chance that a breach happens in your city! Can my City Afford to Accept Electronic Payments? Citizens depend on their cities and towns to supply their most basic needs. Cities deliver utilities, pick-up trash and issue permits. And while costs continue to rise, government entities are forced to work within fixed budgets and government regulations. American consumers choose credit and debit cards as their preferred method of payment. In a time where consumers are worried about the integrity of payment and personal information, more than half cite debit or credit cards as being the safest way to pay online. Given this trend in consumer behavior, it makes sense that citizens expect to pay for services rendered by their city with their credit or debit card. It’s quick, convenient and citizens can earn points. But, cities have to weigh the cost of processing electronic payments against the benefits. To encourage electronic payment activity, MasterCard and Visa started a special program enabling government entities to assess a Service Fee to offset the expense of accepting credit and debit cards. The city passes the cost, a flat or variable rate, of processing the electronic payment through to the citizens who choose to pay with a credit or debit card. This enables the city to offer the convenience of electronic payments to its citizens while incurring zero cost to process payments. The Service Fee can be applied to all payment channels including in-person, online and over the phone payments. Most importantly, the city must disclose to the citizen that they are paying a Service Fee for opting to pay with a credit or debit card. Convenience: You are offering your citizens another way to pay. If you have an online solution, your citizens can pay their bills from their homes. Rewards: An increasing number of people are using rewards cards. Accepting cards as payment allows your citizens to earn points. Less Expensive: If your government entity is absorbing the cost of processing payments, it’s likely that those costs are being recovered in fees that are charged to all of your citizens. 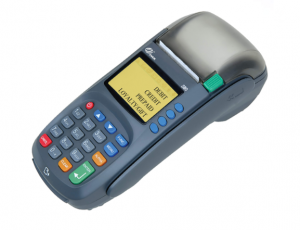 By choosing Zero Cost Processing, only the citizens who pay with a card incur any cost. Eliminate a budget line item for the city: The city does not need to allocate funds to cover processing costs. Eliminate processing expense: Offer all of the benefits of card acceptance to your citizens without incurring any expense. Your government entity can designate funds previously spent on processing for other purposes that improve your community. 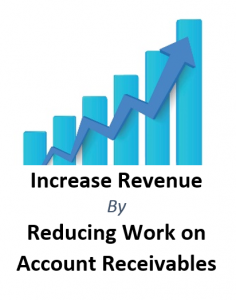 Reduce Receivables: If it’s easier for a citizen to pay their bills, renew licenses or pay fees, they are more likely to pay and your government entity’s revenue increases. Streamline your back office: By decreasing your staff’s time spent with cash and check processing, they’ll have more time to focus on other projects. And as your citizenship grows, you won’t need to hire additional staff to collect and process payments. Improved Reporting: Track all payments and create customizable reports to be delivered automatically to the inboxes of your choice. Transparency: Show your citizens exactly what they’re paying for. With a Service Fee structure in place, your city can afford to accept credit, debit and electronic checks as payment for services. Zero-cost processing is a win for the citizen because they have more payment options and a win for the city because there is no cost! Pace Payment Systems is a leading payments technology company and right choice to provide electronic payments for your citizens. We’ve developed technology that provides the city with flexibility, improved efficiency and customized reporting. Your citizens will benefit from technology that makes payments simple, convenient and secure. To learn more about PACE click the logo below.